Looking for a cheap flight from Delhi to Srinagar (DEL-SXR)? Before you book a flight you can use Utiket to find the cheapest flights from Delhi to Srinagar for IndiGo, Jet Airways, Air India, Spicejet, GoAir, AirAsia India. All flight data are real-time and accurate. Utiket finds all the cheapest flights from Delhi to Srinagar. On average the flight time between Delhi and Srinagar is about 1 hr 10 min. There is no time difference between these cities. The timezone for both cities is: UTC +05:30. The local time now: 02:07:12. There are 5 airlines flying from Delhi to Srinagar. Weekly there are 16 flights between Delhi to Srinagar. The earliest flight from Delhi to Srinagar is at 05:40. The latest flight is at 15:05. The Indira Gandhi International Airport (abbreviated as IGIA) is the busiest airport and largest aviation hub of India with close to 40 million passengers a year. The airport was named second best airport in the world in the 25 to 40 million passengers category in 2012 and 2013. 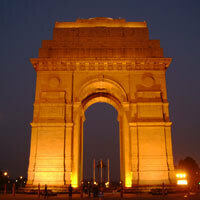 Find cheap flights to Delhi or read more about Indira Gandhi International Airport. 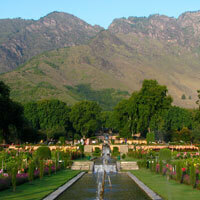 Find cheap flights to Srinagar. Which airlines have direct flights between Delhi - Srinagar? Need place to stay in Srinagar?